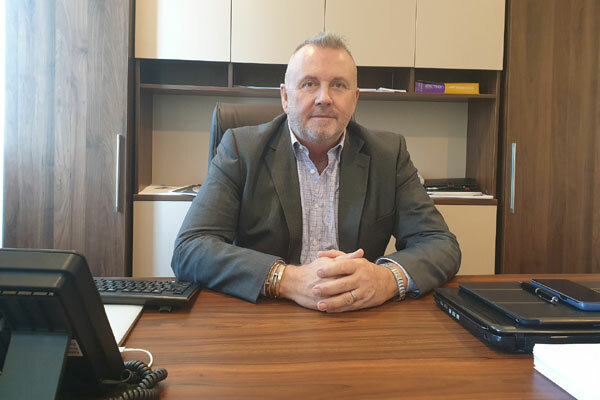 Samana Developers, a boutique developer in Dubai, has appointed former Damac vice-president Alan James Gammon as the new general manager to execute three project launches in first quarter of 2019, along with an ongoing Samana Greens residential project in Arjan-Dubailand district near Miracles Gardens, and to introduce them to the international investor hubs. A British national with 35 years of experience with leading developers, Gammon has managed Dh10 billion worth of assets under his portfolio. He has also worked with Damac Properties as Vice-President of Customer Service; Majid Al Futtaim in the similar position; Funsho International as Director Business Development; Royal Group as Chief Operating Officer and with Shaikhani Group in A similar role. In his new role, Gammon will oversee activities including overall project/asset management of Samana Developers, new business, joint-venture partnerships, expansion, operations, marketing and end to end customer management. Its maiden project Samana Greens will be Gammon’s first and foremost assignment to oversee the construction progress of 140,000 sq-ft property and ensuring on-time completion and delivery. Samana Greens is located in Dubai’s tourist hot-spot of Arjan-Dubailand, which is home to Miracle Garden, the world's largest natural flower garden. CEO Imran Farooq said: "The appointment of an industry expert like Gammon is a reflection of our commitment to completing our projects well on time with a high quality, healthy living environment and developing potentially high yield properties." "His extensive expertise in real estate, customer service and hospitality will help firmly position Samana Developers in the real estate market of Dubai," he added. The Dh75 million Samana Greens residential project – a freehold property – will deliver 131 residential units comprising of studio, one- and two-bedroom apartments. Around 40 per cent construction work has already been completed and project will be delivered by April 2020 – six months ahead of Dubai hosting Expo 2020. Located right opposite Miracle Garden a main tourist attraction in Dubai, Samana Greens will be easily accessible through two major expressways – Al Khail Road and Mohammed Bin Zayed Road – and gives its residents easy access to the major attractions to the city of Dubai.